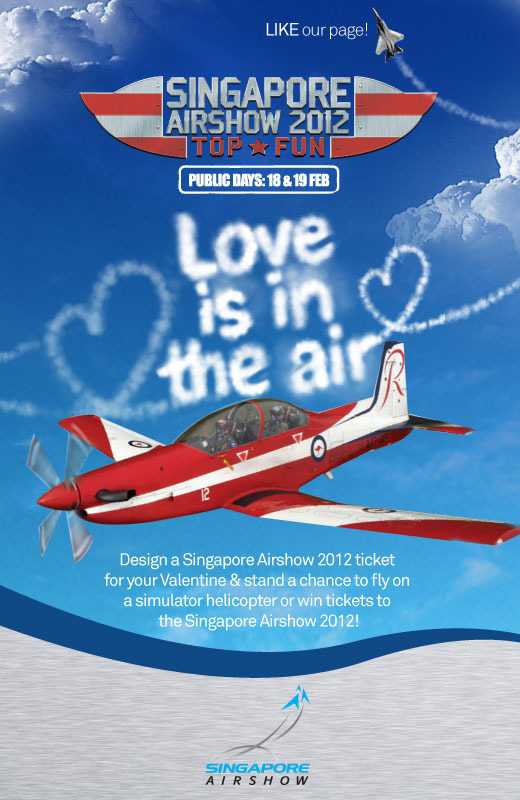 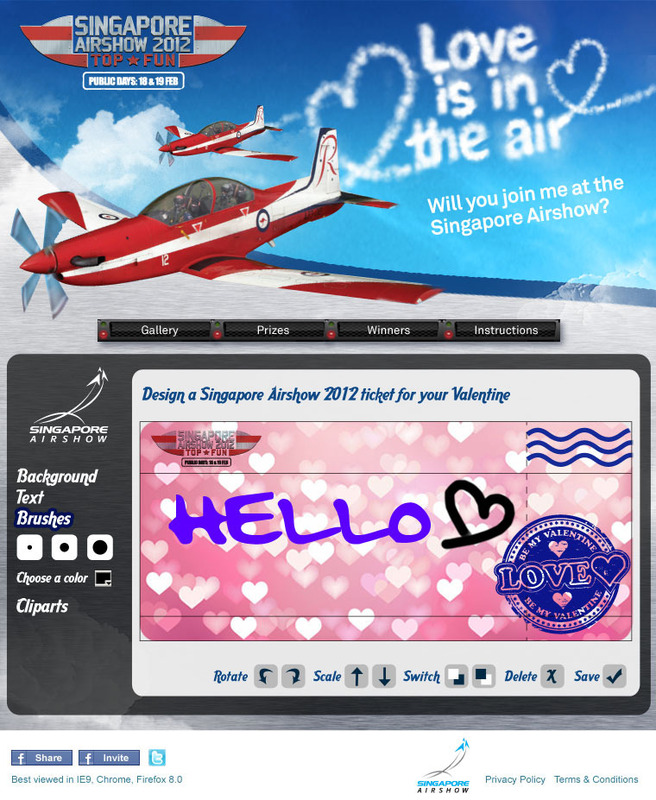 Singapore Airshow 2012: Love is in the air! 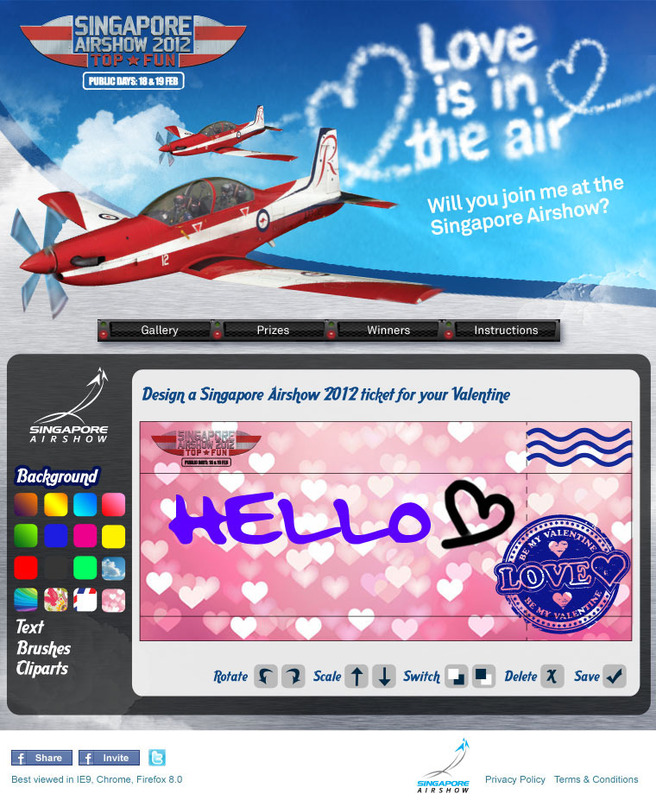 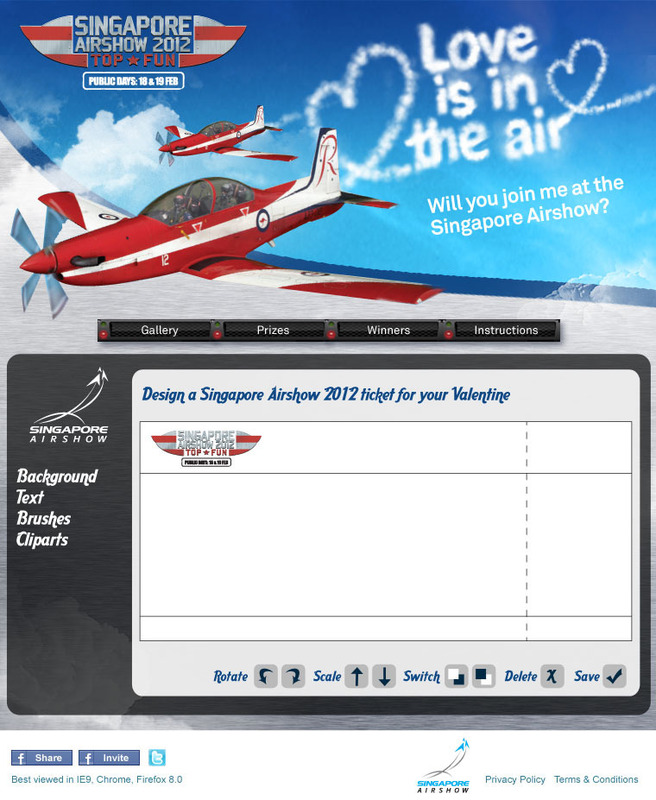 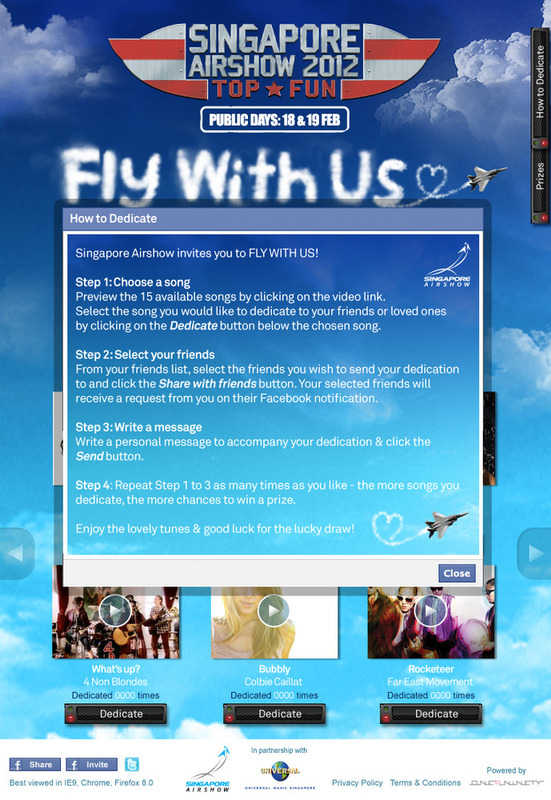 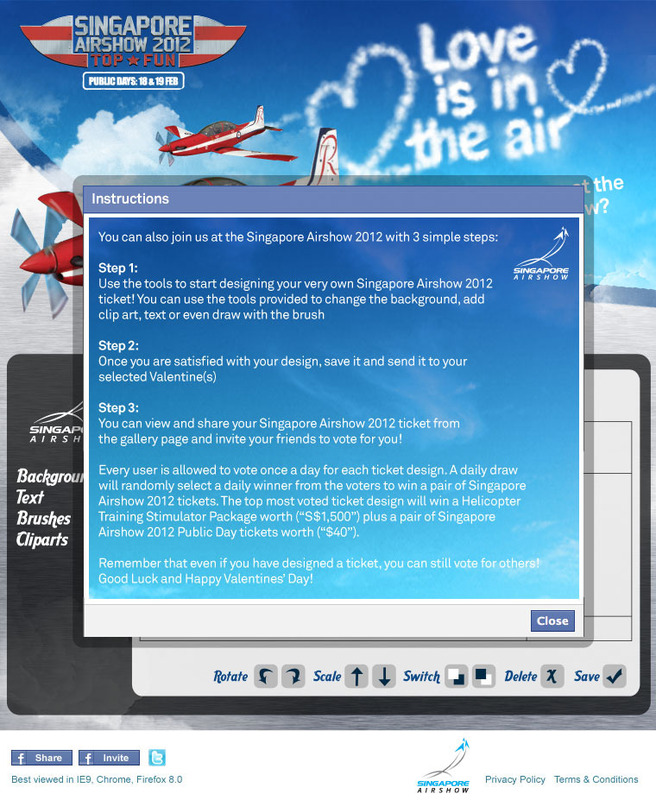 Design an air ticket to invite your loved ones to the Singapore Airshow! 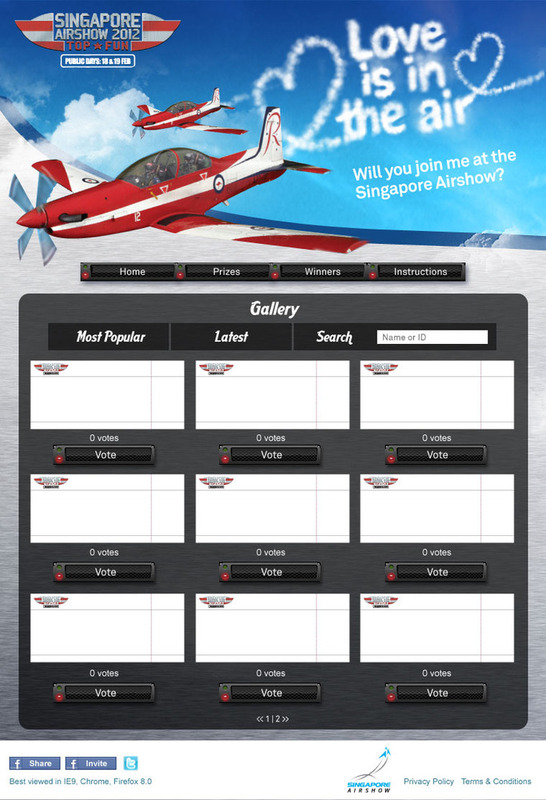 New facebook app created for upcoming Singapore Airshow 2012, powered by One9Ninety. 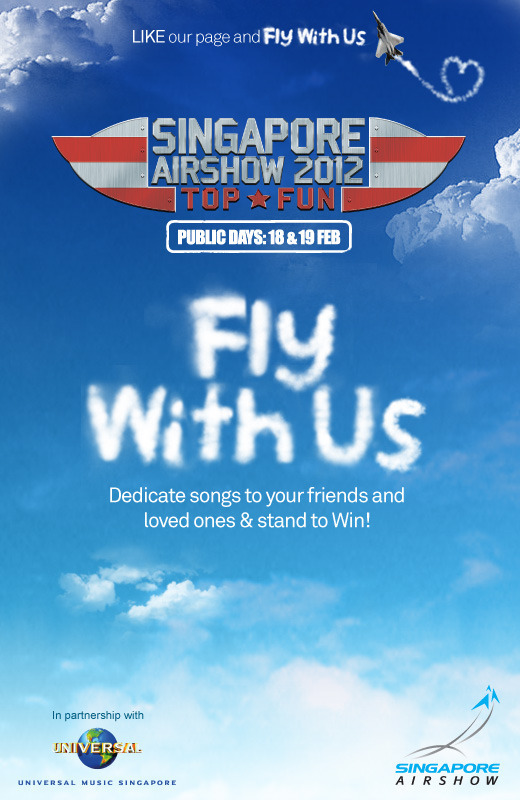 Enjoy the lovely tunes and good luck for the lucky draw!